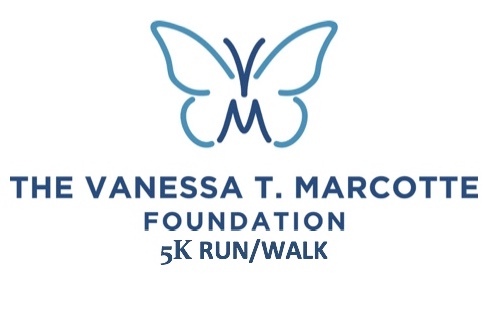 The Vanessa T. Marcotte Foundation envisions a world where women live free from harassment. We strive to achieve this goal through education and advocacy on safety awareness and gender equality. Since our establishment in 2017, we have funded grants that educate and mentor youth on challenging the gender stereotypes that often lead to objectification against women, and have educated hundreds of girls and women on safety awareness. Vanessa inspires our mission and fuels our continued efforts. Interested in sponsoring? Click the link below to learn more about sponsorship packages or to navigate directly to the online application. Thank you for your support! Follow link below to volunteer and pick a job you would like to help with. Thanks for your help. There will be plenty of parking, but please follow directions from the attendants as part of the race course goes through the lot and will close at 9:50 am while race is underway. 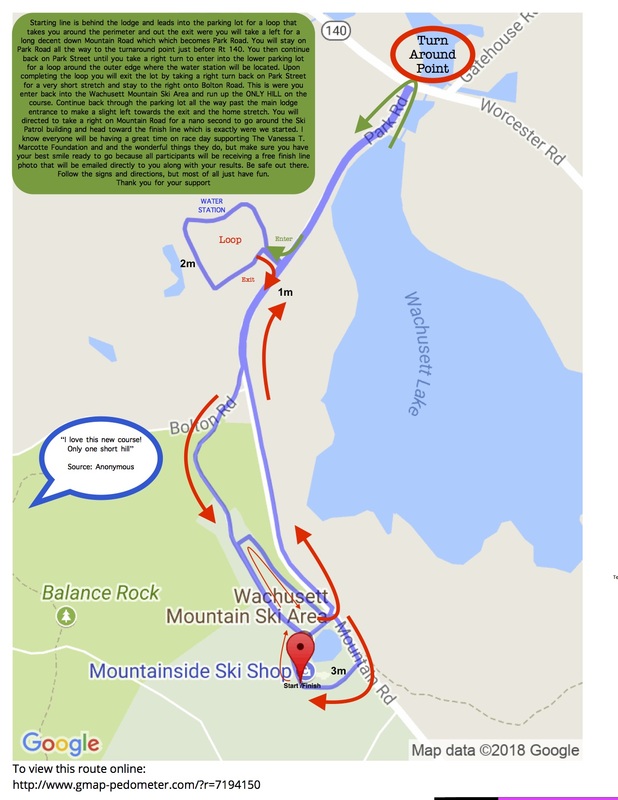 Pre race pick will be from 4pm to 7pm on Friday the 14th at Mount Wachusett Ski area. Race day registration starts at 8am. I hereby for myself, my heirs, executors and administrators, waive and release any and all rights and claims for damages I may have against the event, sponsors, coordinating groups and any individuals associated with the event, their representatives and assigns, and will hold them harmless for any and all injuries suffered in connection with this event. I attest that I am physically fit to compete in this event. Further, I hereby grant full permission to any and all of the foregoing to use my likeness in all media including photographs, pictures, recordings or any other record of this event for any legitimate purpose. Race management reserves the right to postpone or cancel the event due to events out of management's control such as weather, natural disasters or other emergencies. No refunds will be issued under these circumstances. Management may also alter the course and distances for the safety of the athletes. I understand that the entry fee is non-refundable and non-transferable.